Losing a loved one is hard enough. Losing a loved one, then having their life insurance claim get denied by an insurance company is adding insult to an already injured family. When we take out a policy of life insurance, we pay the premiums and then forget about it. We think that all policies work the same. In the event of death, the insurance company should pay out the benefit as stated in the policy. It sounds simple, and in a perfect world it should work that way. But all life insurance companies and policies are different, and contain different exclusions and exceptions which we often don't understand, and are rarely explained to us at the time of taking out the policy. There is nothing more horrible than getting that denial letter from the insurance company explaining that the life insurance claim has been denied on account of some exception we never even knew existed. Or, perhaps the adjuster responsible for handling the file doesn't know what they're doing and is denying it in order to save their insurance company some money. There are many reasons why life insurance claims are denied. Sometimes insurance companies question that the death was a covered fatality under the policy. Other times the insurance company questions that premiums were paid in a timely manner; other times insurers argue that the policy had lapsed. They may question that the application for benefits was not delivered in time, or there was a pre-existing medical history which was not disclosed to the insurance company. Goldfinger Injury Lawyers has seen and dealt with all sorts of denials from insurance companies just like yours used to justify their reasoning in rejecting your life insurance claim. Our personal injury lawyers know how to deal with these insurance companies to change their mind to turn your wrongly denied life insurance claim into an approved one. Our personal injury lawyers know the tricks, methods, and trade secrets of the insurance companies to ensure that you get the most out of your claim. 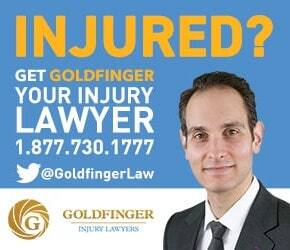 Goldfinger Injury Lawyers has successfully handled life insurance claims involving TD Insurance, RBC Insurance, Co-Operators, Great West Life, London Life, Canada Life, ManuLife, Desjardins, SSQ, BMO Insurance, Standard Life, Industrial Alliance, Co-Operators Insurance, Zurich Insurance, Reliable Insurance, Security National, Farmer's Mutual Insurance, State Farm Insurance, Intact, AXA/INA, SunLife, Assuris, SBI Life and other large insurance companies. If your family had their life insurance claim denied, don't hesitate to call Goldfinger Injury Lawyers today at 1-877-730-1777 or email us at info@goldfingerlaw.com. Would be pleased to assist you with your life insurance claim. We don't change any legal fees until your case settles, and all of our consultations are free, and take place with a personal injury lawyer.